This post was first published in June of 2013. Since then I’ve used engineer prints multiple times for gift wrap, inexpensive art for birthdays, graduations, and for dorm decor. I’ve always used black and white engineer prints, but now Staples offers color prints. The website says “not suitable for photo images” but pay no attention to that. 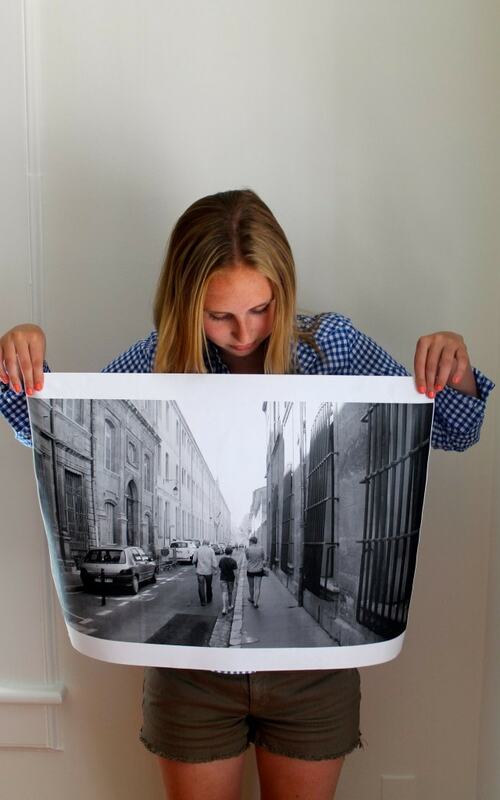 They are surprisingly good quality for large photos on inexpensive paper. 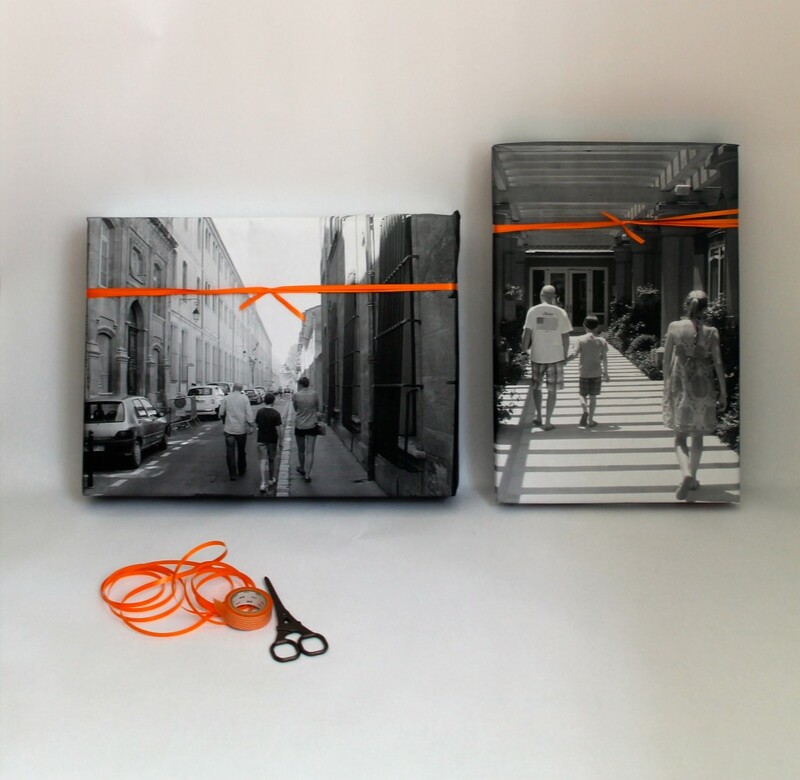 I mean, don’t expect too much, but for gift wrap or dorm room art, they’re great. I have an idea for Mother’s Day so I wanted to give the color engineer/blueprints a try. They are inexpensive and start at $1.79 for black & white and $2.99 for color. My son Patrick’s 19th birthday is this week. 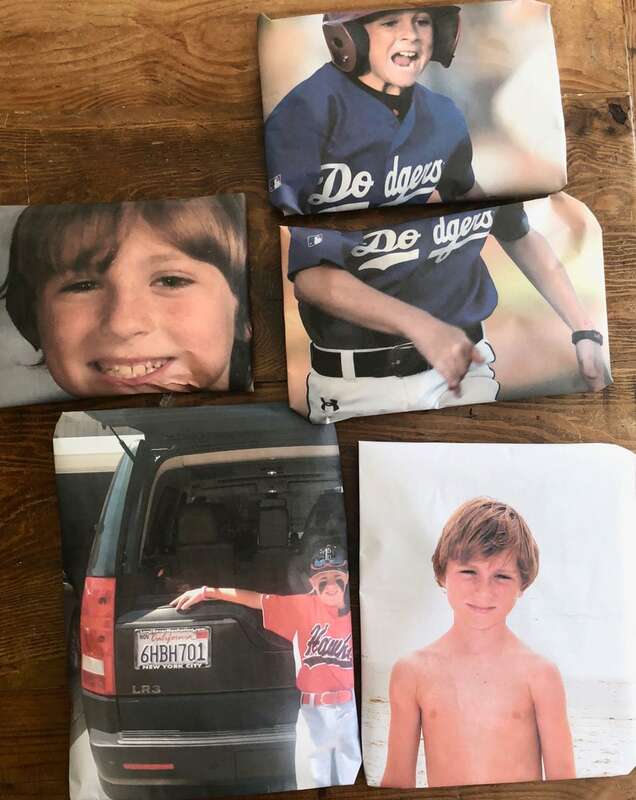 What better time to use color blueprints than for gift wrap using his 3rd grade school photo, baseball, and beach photos from his youth. He’ll either love it or be annoyed (embarrassed). I’ll give him a heads up before he opens the box. 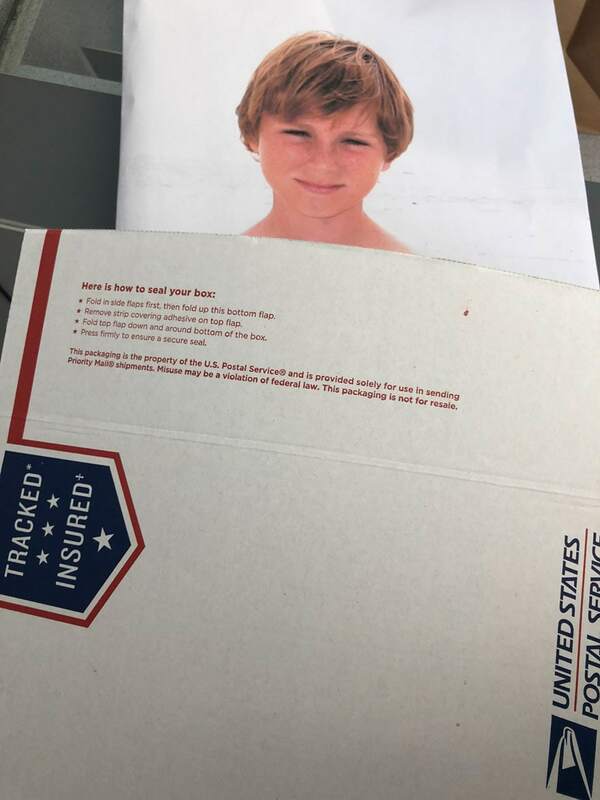 I chose the smallest size (18 x 24) and wrapped each of his gifts in sort of a soft wrap using the paper and slipped them into a Priority Mail Box from the US Post Office. Ever since I discovered how easy and inexpensive it was to use the Engineer prints from Staples I keep trying to come up with reasons to use them. My kids are 18 and 14 so I kind of feel like we’ve done everything for Father’s Day…twice. But using engineer prints for wrapping paper was super easy and new, at least for us. You can upload photos from home to the staples website and have them shipped to you or select your store and pick them up a few hours later. I chose photos from a recent trip we took to France and one from a trip to Amelia Island, Florida when the kids were little. Amelia Island is one of our favorite spots and we have so many wonderful memories. He’ll love the packages even before he opens them. I purposely selected photos that were from the back. I love photos taken this way and when I came across two photos from vacations that had a similar quality…I knew these were the ones. The two prints were less than $5 and we just orange curling ribbon and used orange washi tape, his favorite color. That is so awesome annie! I think I may steal this idea for father’s day! You are brilliant. This post is so crisp and beautiful, it belongs in a magazine. 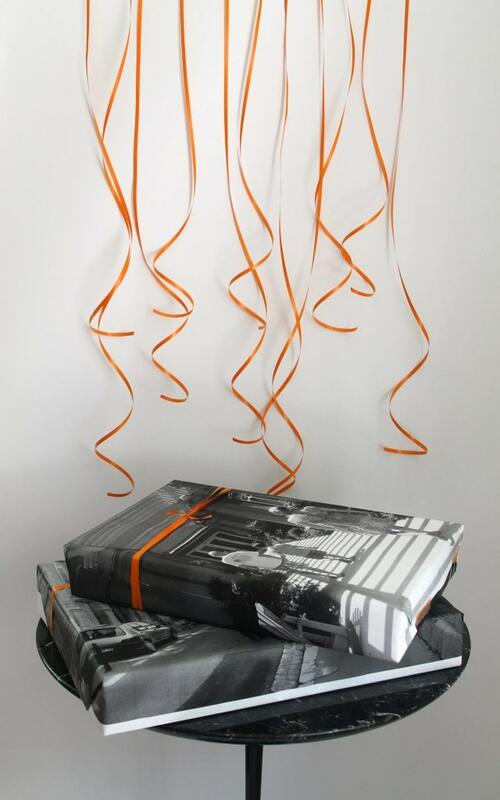 I love this personalize gift wrap… it’s stunning!! Can’t wait to use this idea! This is such a gorgeous gift..I love sharing memories through photos. This is a great way to personalize a gift for father’s day! I love it! I love it, too. A great idea. This is wonderful. such a beautiful idea. i love seeing knew ways to use those engineering prints. awesome! You are so clever! I need to try this! Those are so gorgeous, I wouldn’t want to unwrap them! Thanks for sharing…can’t wait to use this idea! I thought I was the only one that loves photos take from the back. All of mine have the subjects holding hands. They are a moment in time. I just have to say that is such a great idea! I need to see if I can use it in some way before Father’s Day…I also wanted to say that I love checking in on your blog because I grew up in CT further up the shoreline. I also had a big wow moment because my parents retired 8 years ago to Amelia Island and I was just there with my family last week. We too have a ton of great memories of that island. I love how blogs connect people in the most random ways. Adorable idea!! I will be using this for Fathers day. Thank you for the never ending supply of inspiration Annie. You are so clever! Love this idea and completely relate to your “we’ve done everything twice” mention. Such a clever idea! I copied you! 🙂 I know my husband will love it! Thank you for sharing your idea! This is an awesome idea! I hope to use it for my sister’s 81st. birthday. Thank you for sharing. That sounds like an excellent idea! Your sister will be thrilled. Thank you for reading! I love the idea! It gives a personal touch to the gift itself that the recipient will feel good about it.